(Back) Coach Michael Abel, Raff Francisci, Robert Stanley, Hosanna Gray, Angelica Francisci. (Front) Caleb Whitter, Claire Whitter, Angel Gray and Jacob Whitter. 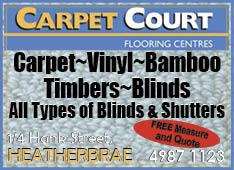 NORTH Coast Regional Swimming Championships were held at Coffs Harbour on the weekend of 24 to 25 November. A number of locals swimmers competed in the Stroud Seals team which attended. Medowie swimmers Hosanna Gray, Angel Gray, Grace Gray and Robert Stanley competed at the Championships. 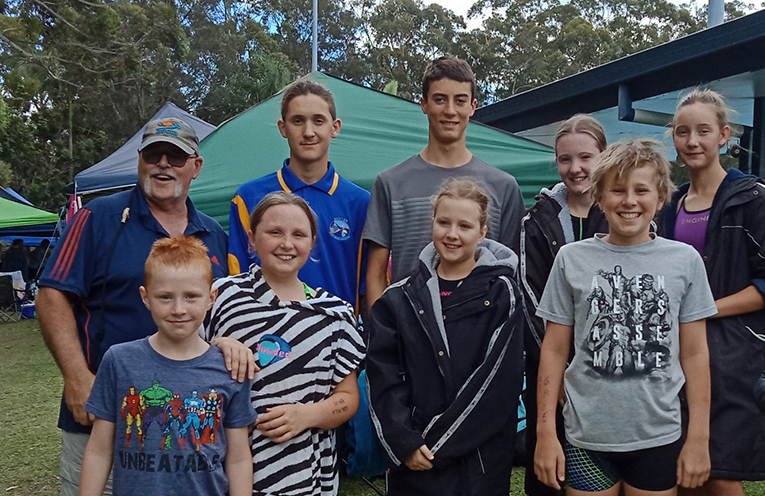 Raymond Terrace swimmers Jacob, Caleb and Claire Whitter also competed at their first Regional Carnival. Silver Medals were won by Robert Stanley in 200 breast, Grace Gray in the 200 breast and 100 breast. A Bronze medallion was awarded to Grace Gray in 50 breast and Robert Stanley in the 100 breast. Robert Stanley also achieve a significant PB in his 50 breaststroke putting him in a competitive position for State Age Championships later in December. Congratulations to our newest competitors Jacob, Caleb and Claire Whitter who all achieved significant Personal Bests (PBs). Jacob took a whopping 4.67 seconds off his 50 free time and Claire reduced her 50 free time by 1.66 seconds and her 100 free by 4.67 seconds. Caleb Whitter made big reductions of 6,7 seconds and 3.01 seconds to his 100 free and 50 back times. Not to be outdone Angel Gray reduced her 50 free time and 50 breast time by 2.63 seconds and 0.29. Additionally Hosanna Gray swam 50 fly, 100 breast, 200 breast and achieved PBs in all these events. Hinton senior swimmer Jeremy Edstein who has been undergoing HSC exams and has been unable to train, attended and swam numerous long distance and short distance events and made his PBs. Coach Michael Abel who is training the squad to peak at Country Championships in February was pleased the squad was on target. He was particularly pleased with the performance of the local swimmers. 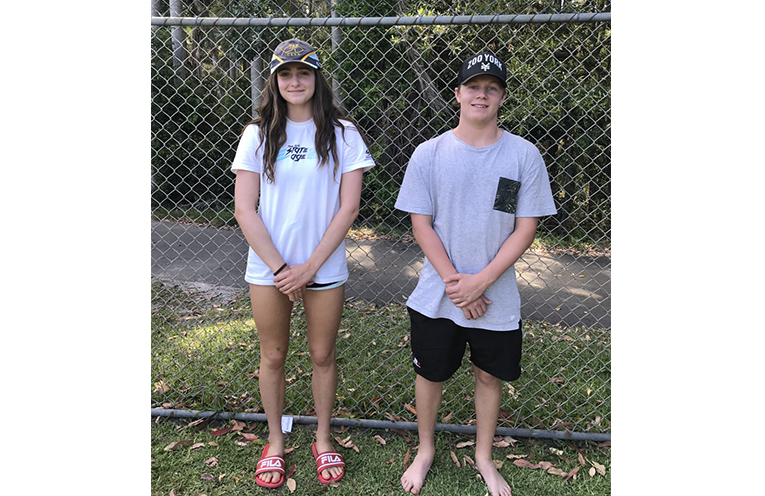 Grace Gray and Robert Stanley will both compete at the NSW State Age Championships in Sydney during 15 to 19 December in multiple events. Coach Michael Abel believes the swimmers are on track to perform strongly at the State Championships.